"What do you give a deer with an upset stomach? 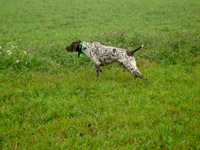 Elkaseltzer"
Does the thrill of a wily ringneck pheasant busting from cover make your heart thump? That is only the beginning of the excitement as several different pheasant hunting experiences are available at the preserve. Our high flying, flight-conditioned pheasants will give you the exact challenge and excitement that you are looking for. 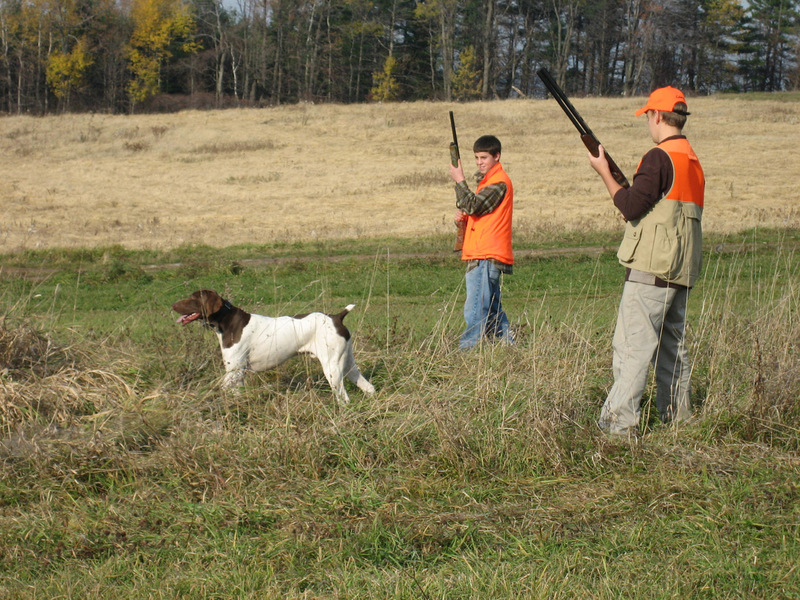 Because we are a NYS licensed Class A pheasant preserve, no license is required. Our professional dog handlers and German Short-Haired Pointers will provide you with a safe and memorable hunting experience. We continuously monitor field conditions to put you in the best cover for success. All hunts are scheduled for ½ day (9am-Noon) or (1pm-4pm) unless otherwise requested. Dogs and handlers are provided for $80 half day minimum on all walk-up shoots. Wide variety of terrain and cover. Your own freshly harvested birds can be dressed for $3.50 per bird. Accommodations and Meals are offered at reasonable rates upon request. Private and Corporate Shoots are also available upon request. You are welcomed to bring your own well-behaved hunting dogs. Trap Shooting is a great outing for families, friends, bachelor party or corporate event for employees or clients. 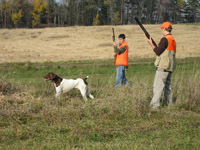 For fun and safety, trap shooting and shotgun instruction is recommended before walk-up pheasant shoots. "My brother-in-laws and I did some pheasant hunting this past weekend and had a great time. Thank you for the fun; can't wait to come back next year." - David S.